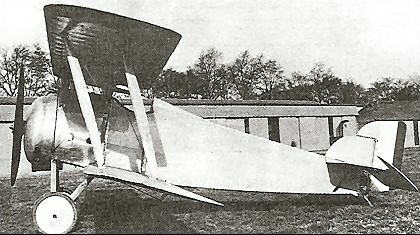 The HD.12 single-seat fighter commenced its flight test programme in 1921. A single-bay staggered biplane, the HD.12 was powered by the 170hp Le Rhone 9R nine-cylinder rotary air-cooled engine, and its intended armament was the standard pair of synchronised 7.7mm Vickers machine guns. The HD.12 was considered to be somewhat passe by the time it commenced flight testing, and, having a comparatively poor performance, it was discontinued.